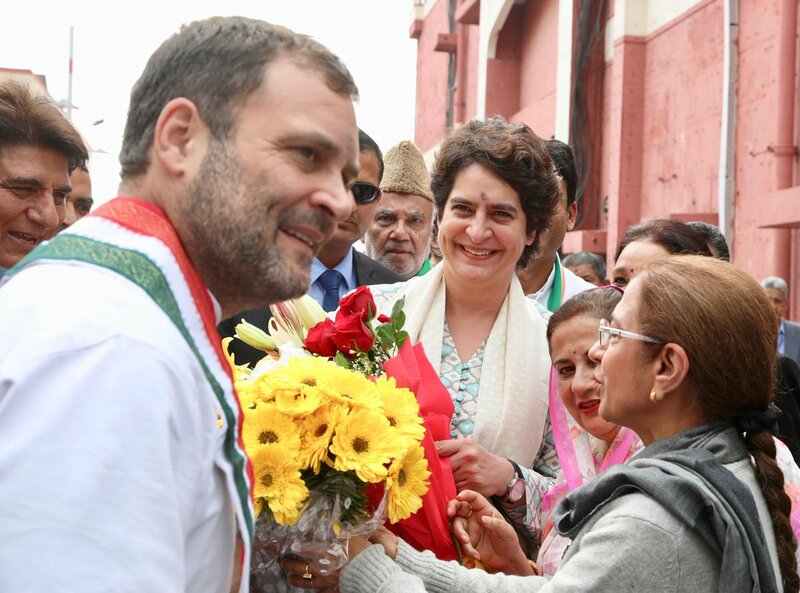 Newly appointed Congress general secretary and in-charge of eastern Uttar Pradesh Priyanka Gandhi Vadra reaches here today along with Congress President Rahul Gandhi and general secretary Jyotiraditya Scindia. Priyanka Gandhi, dressed in a light kurta-churidar, stood with her brother and Congress president Rahul Gandhi, Jyotiraditya Scindia and other Congress leaders on the modified truck decorated in party colours. For the first time in decades, the party managed to generate a buzz in UP, that too in its capital, which has voted the BJP in every election since 1991.